After a long dry spell (haven't completed a data set through my scope since September) I finally completed a new image -- yea! 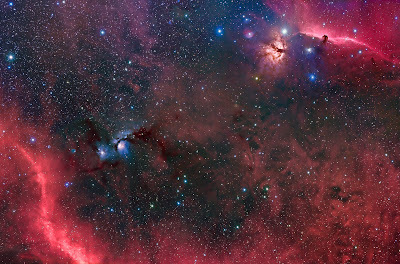 This is a large field in Orion stretching from the Horse Head (upper right) to a chunk of Barnard's Loop (lower left). The blue reflection Nebula to the right of the Loop is M78. 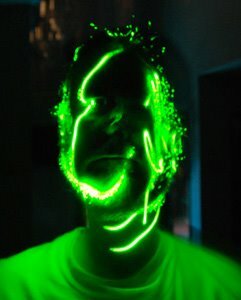 This is my deepest image yet -- 10.5 hours of exposure! I collected 5 hours of Hydrogen Alpha (narrow band emission) data from home, then headed to the dark site at the Comanche Springs Astronomy Campus (3RF) to collect another 5.5 hours of LRGB (color and luminance). 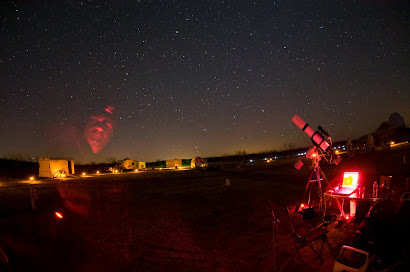 I had a great time at 3RF and one fabulous night of imaging (one out of three ain't bad). I'll post some DSLR images from the trip later. Although I have not had good luck with the weather these past few months, I have managed to shoot some quick pics with my DSLR. 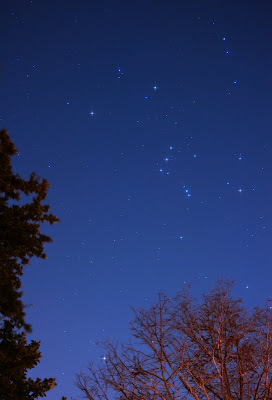 These two images (Orion over my house and the Moon over the park across the street) were taken on Xmas Eve. 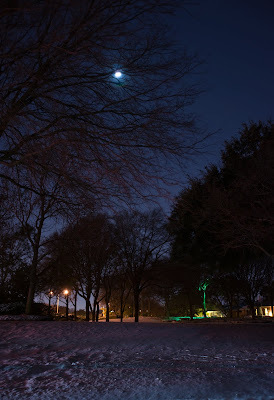 You will notice snow on the ground in the moon shot -- in my 47 years of living in Dallas this is the first white Christmas I've ever seen! Anyway, here's to a happy, safe, and prosperous New Year... and many more CLEAR nights!